The newest performance of Theater Tol will premiere in Germany and UK. On the 19th and 20th of July 2019 the German premiere of Hotel Watercage will take place in Kaiserslautern during Alles Muss Raus Festival. More information can be found at www.alles-muss-raus-festival.de. On the 4th of August 2019 the UK premiere of Hotel Watercage will take place. 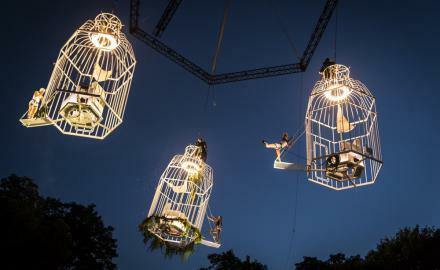 During the Stockton International Riverside Festival the newest performance of Theater Tol can be admired at Stockton-on-Tees. More information about the festival can be found through http://sirf.co.uk fo.